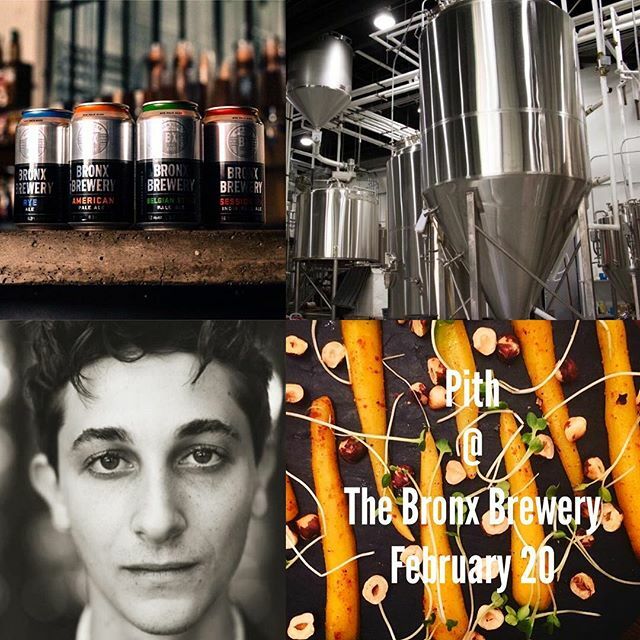 After spending his senior year serving upscale meals out of a Columbia dorm room, a young culinary talent and friend of ours, Jonah Reider is coming to The Bronx Brewery in just over a week to share his love for creatively inspired cuisine. Jonah and his team, @pithnyc, will curate an experience of total sensory immersion by artistically combining food, beer, lighting, and sound for this pop-up event. The waiting list for his supper club has exceeded 1,000 groups, so don’t think tickets will last long for this event. Grab yours ASAP @ pith.space – link in our bio.